A twist on traditional muesli…and we like it! 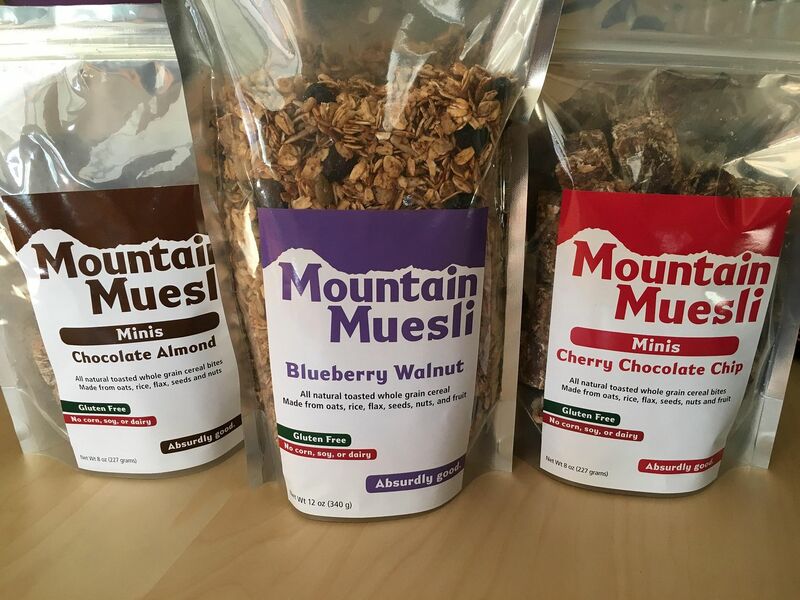 Mountain Muesli Minis and Cereal are deliciously tasty products made in small batches in the Pacific Northwest. Muesli is Swiss German for mash-up and Mountain Muesli is simply a yummy mix of whole grains, nuts, seeds, flax, and rice that’s sweetened with a touch of agave nectar and coconut sugar. It’s filled with all the good stuff – fiber, protein, vitamins, minerals, and omega-3 fatty acids. With a satisfying crunch, it has the ideal balance of nutrients for sustained energy to do all your TrailblazerGirl activities. The cereal comes in 4 flavors: Blueberry Walnut, Cranberry Hazelnut, Island Time, and Cherry Almond and is great with almond milk, yogurt, or a handful, right out of the bag! The Minis come in 6 flavor combinations (our fave is the Chocolate Almond) and are tasty little squares of goodness, just right for those hikes up the mountain or a mid-afternoon snack at the office. All products are gluten free with no corn, soy, or dairy. Described as “absurdly good” and we agree!